Piao Zhu 飄竹: Flying Bamboo is a contemporary performance inspired by the legend of the Seven Sages of the Bamboo Grove – a band of Chinese scholars and poets who met to escape political and societal duress during the 3rd century BCE. 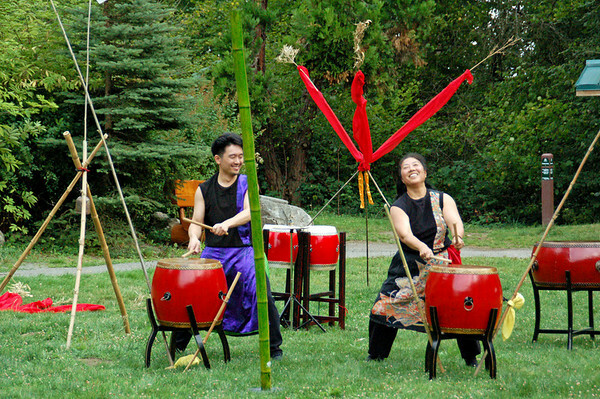 A Piao Zhu 飄竹: Flying Bamboo performance includes music and movement with a focus on social action and artistic wonder. The ensemble is available to perform for various functions with one to four musicians.